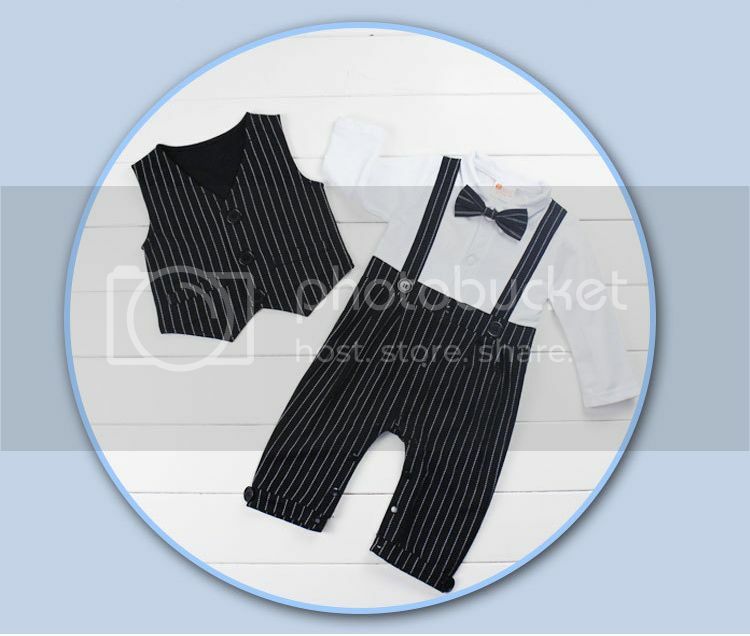 It is made of 3 pieces: bodysuit, gilet and bow tie. 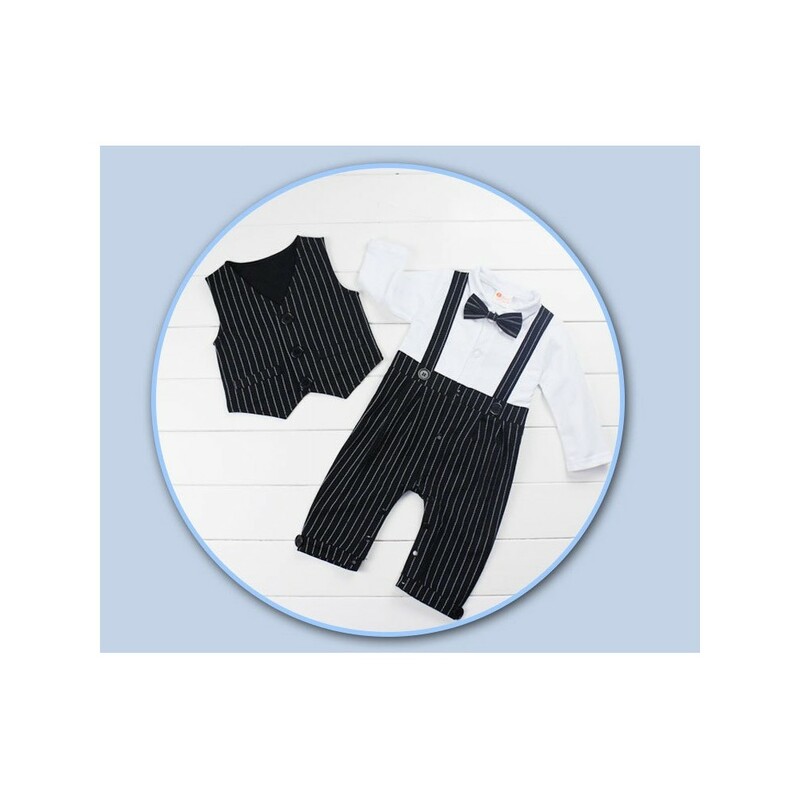 Very comfortable and practical bodysuit with leg snaps for easy diaper change. 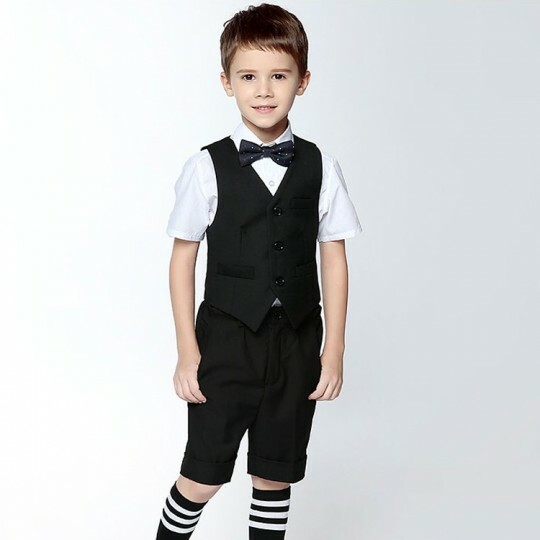 4 sizes available: 70, 80, 90, 95 cm (child height). 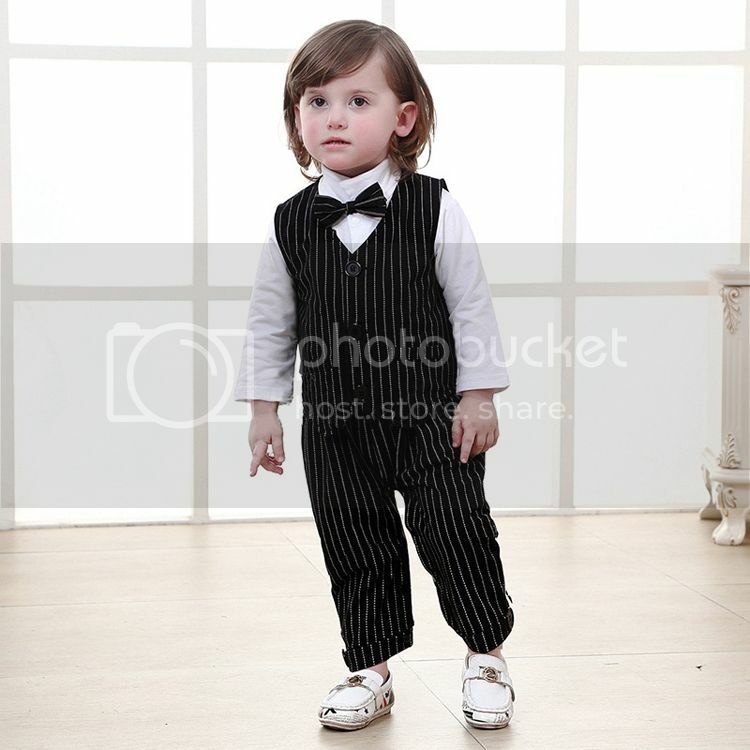 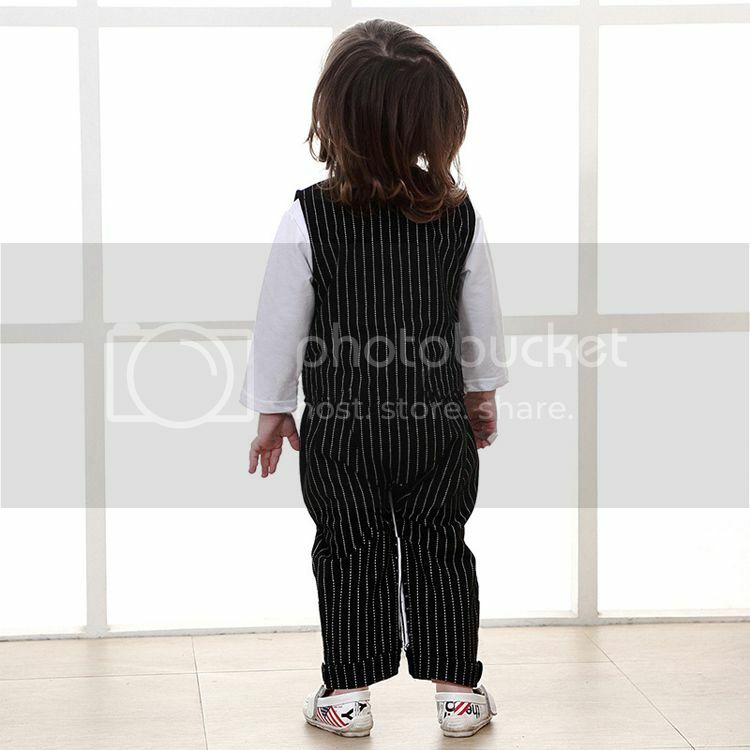 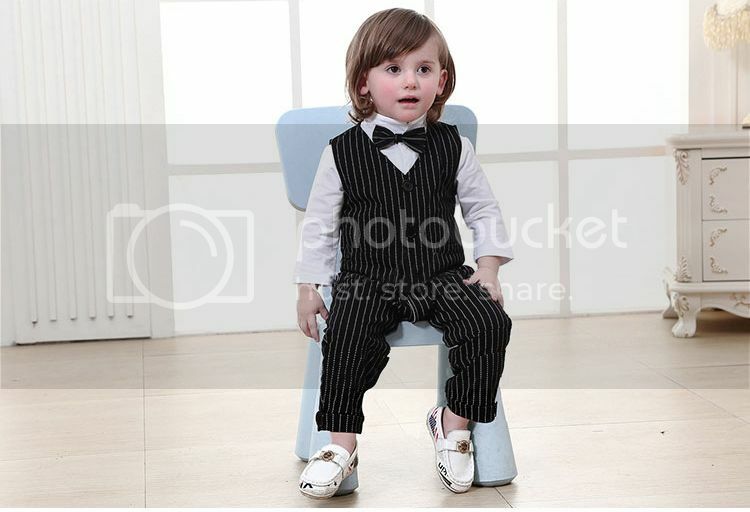 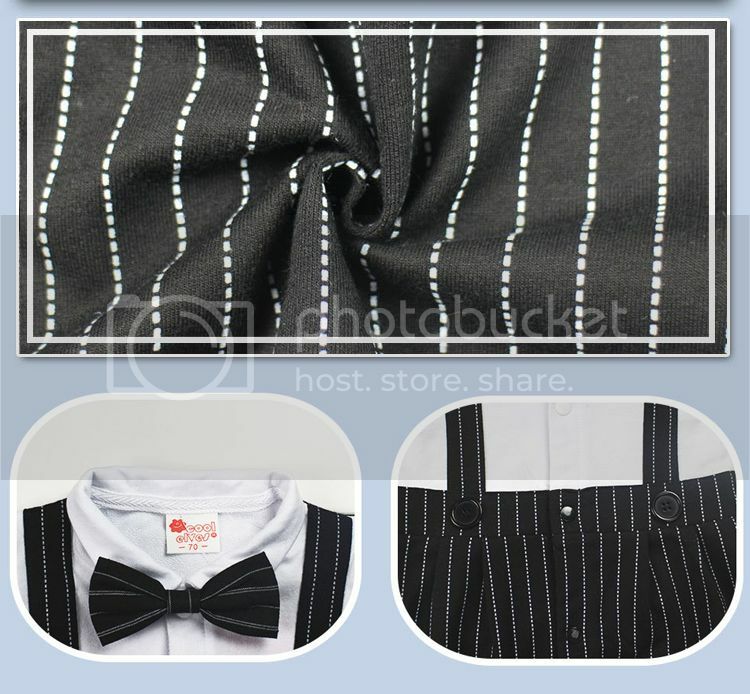 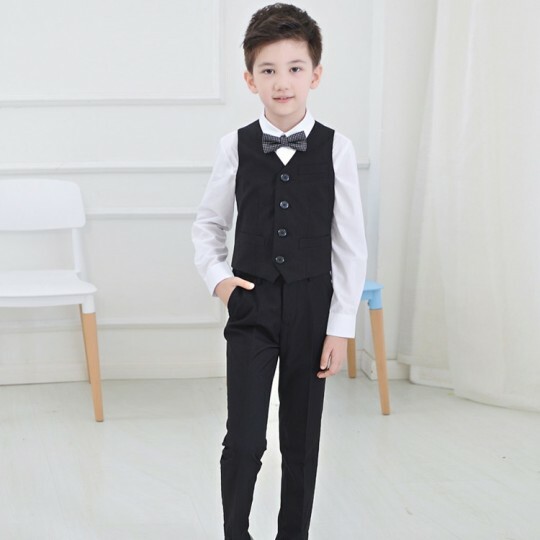 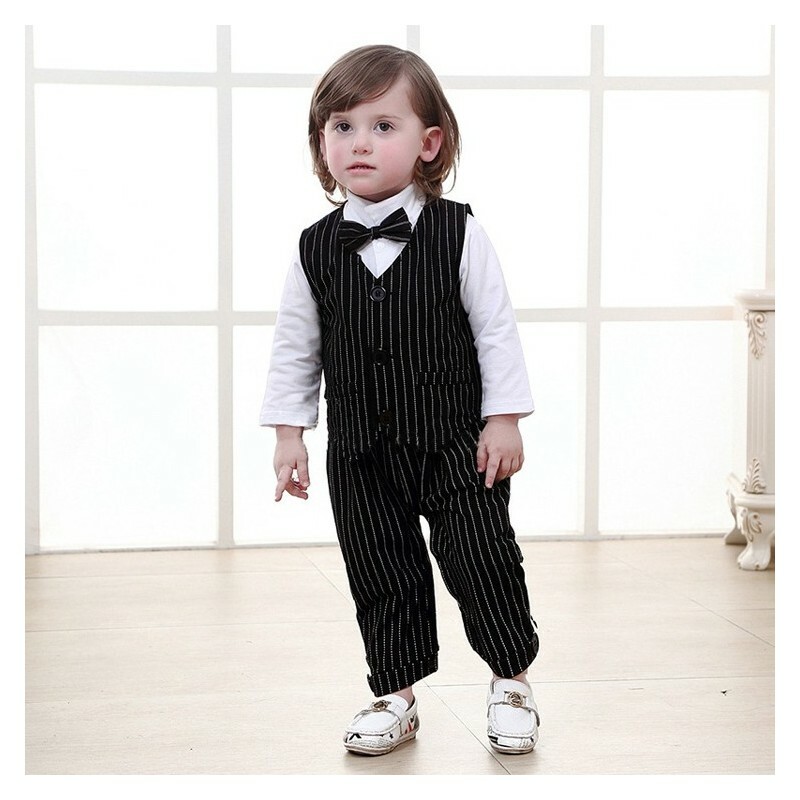 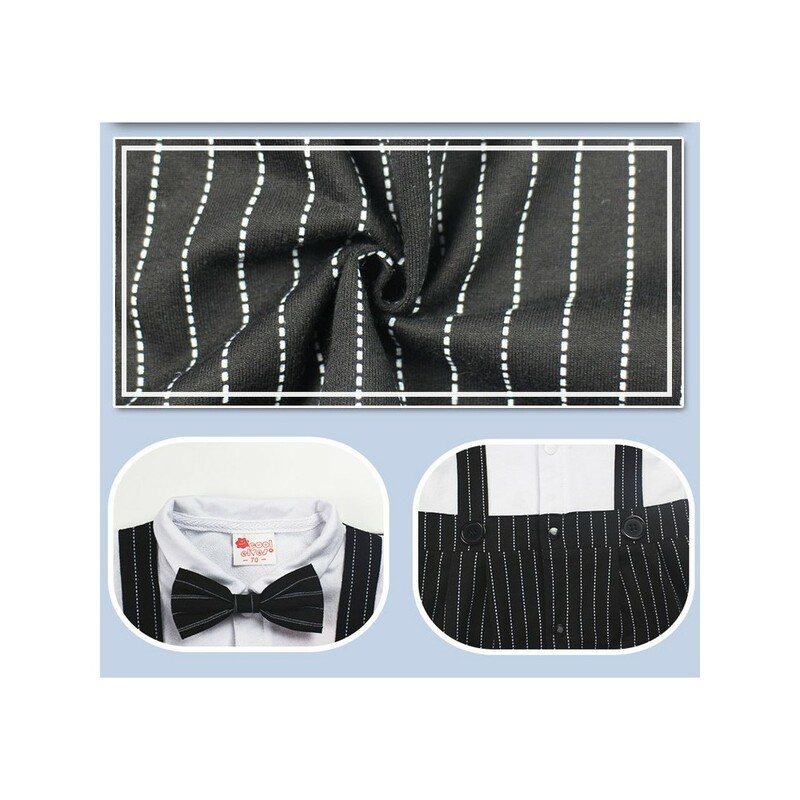 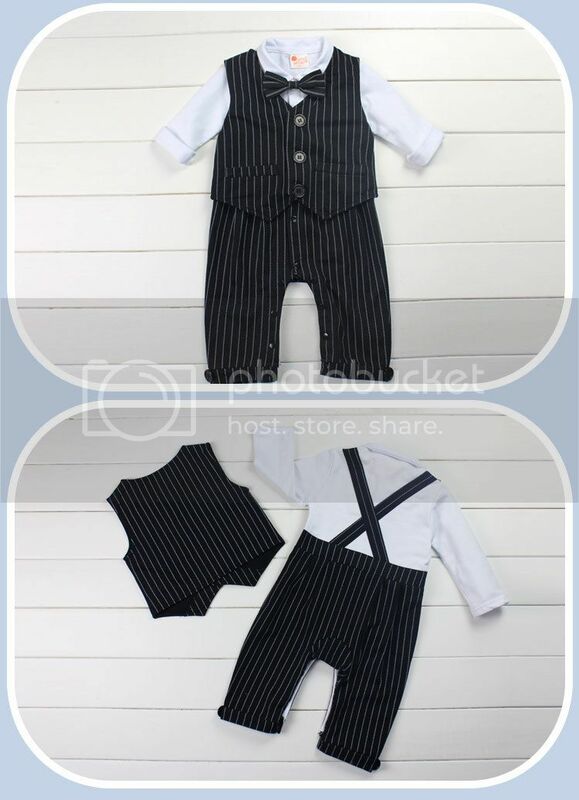 Elegant baby boy pinstripe suit, suitable for a ceremony or an important occasion.